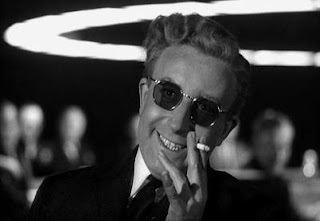 Ron Rosenbaum has an article in Slate about the possibility that the Russians have a Doomsday Machine. However, now that the active Russian strategic arsenal is only 3,300 warheads, I should learn to stop worrying. After all, President Putin is very straightforward and trustworthy. I think I should focus on the Axis of Evil. I hear they're seeking weapons of mass destruction. If there's one thing we don't want, it's for the smoking gun to be a mushroom cloud.